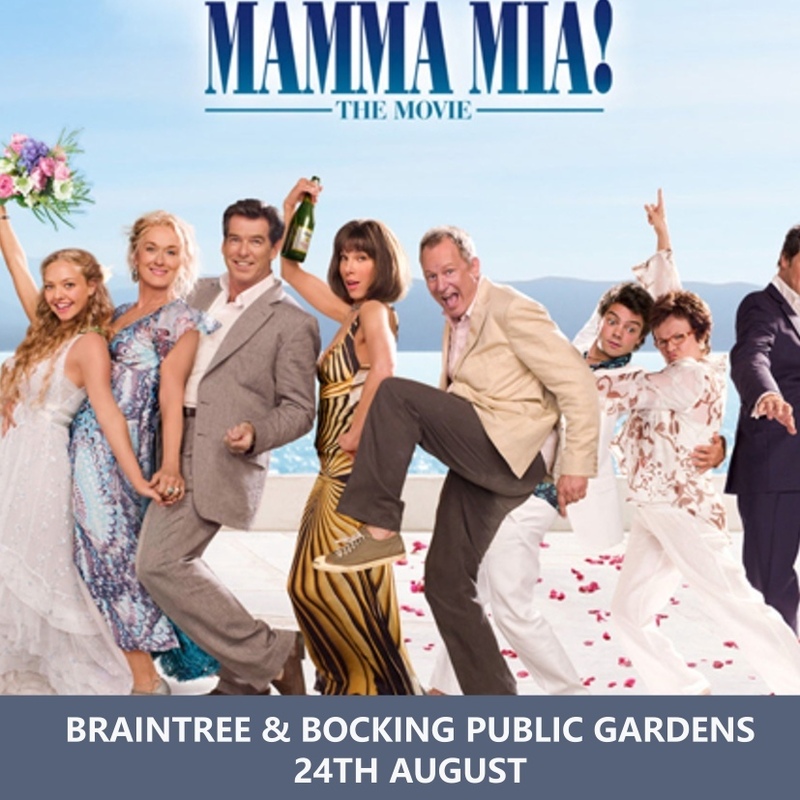 Come to our outdoor event at Braintree & Bocking Public Gardens on the 24th August where we will be screening Mamma Mia, certificate PG. Join the music, laughter and fun of the irresistibly charming Mamma Mia! The Movie. Academy Award winner Meryl Streep leads an all-star cast, including Pierce Brosnan and Colin Firth – as well as up-and-comers Amanda Seyfried and Dominic Cooper, in this musical celebration of mothers, daughters and fathers, and true loves lost and new ones found. Based on the Broadway smash-hit and filled with the ABBA songs you know and love, it’s the feel-good experience that will have you singing and dancing over and over again. Gates open at 4.30pm, then the film starts at 5.30pm and will finish approx 7.20pm. £12 per adult and £9 per child (under 12)/*concession. Food and drink is allowed onto the premises, but why not leave it at home as we will have plenty of reasonably priced food and drink vendors. Please bring something to sit on and something warm to wear. Why not indulge and make a night of it and purchase our double bill ticket...see both Mamma Mia films back to back.